Wednesday to Saturday 10.30am to 4pm, Sunday 12pm to 4pm. to the public as well as hosting several guests artists around the farm. See them demosntrate their techniques and view their new and original works. Kara is commisioned for a filmed, live paint at the Bahrain International Airshow. Along with a fantastic air dipslay of the Red Devils, Brietling Wing-Walkers, Aerobatic Jet Display Team and Red Arrow simulators Kara creates an anamorphic interactive floor canvas. She will be demonstrating and chatting on Sunday 15th July from 1pm. 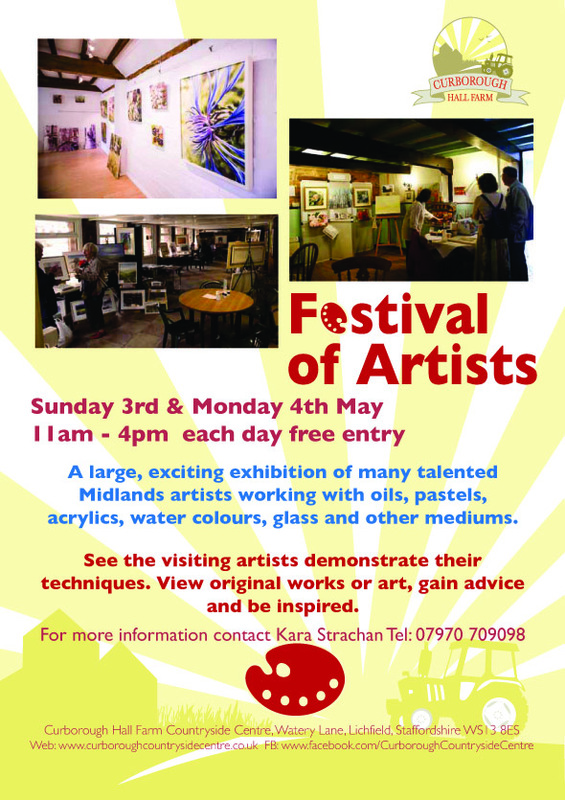 On Saturday 23rd and Sunday 24th June, Kara can be found in St James' Church, along with many of her latest floral and woodland paintings. The exhibition opens at 1pm. Kara invites you to join her in the opening of her new studio 'The Art Loft'. Enjoy festive cheer with real riendeer, Father Christmas, treasure hunts, mulled wine and mince pies at Curborough Antiques and Craft Centre. 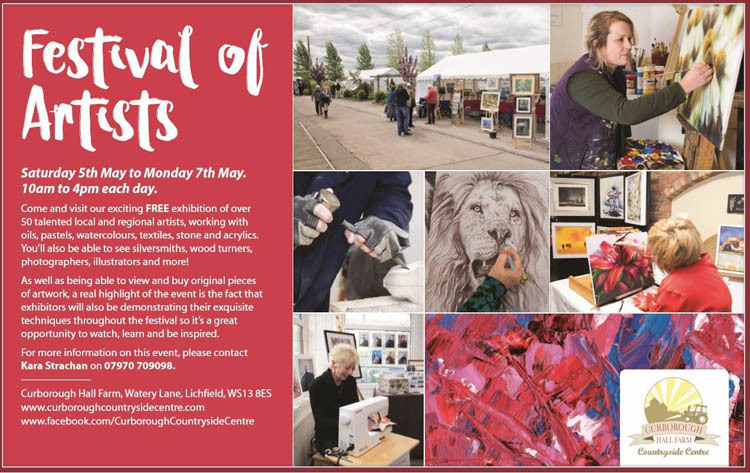 A chance to preview Kara's latest works and see her demonstrating the art of acrylics on the top floor, House of Fraser, while enjoying all the festivities the store has to offer, refreshments, live music and demonstrations. Enjoy meeting the artists and seeing their work as their studios open for Ridware Arts ‘Open Studios’. rejoicing in the beauty of gardens and woodlands to celebrate the arrival of Spring. View Kara's latest paintings at House of Fraser Sutton Coldfield, top floor, by Cafe Zest. On Saturday 19th and Sunday 20th June, Kara can be found in St James' Church, along with many of her latest floral and woodland paintings. The exhibition opens at 12 noon and admission is free. Join us for wine and mince pies on Saturday 13th November as all five artists at Ridware Arts welcome visitors to the gallery and their studios to mark the launch of this year’s Christmas exhibition.